Welcome to 1747 E Townsend in St Johns. 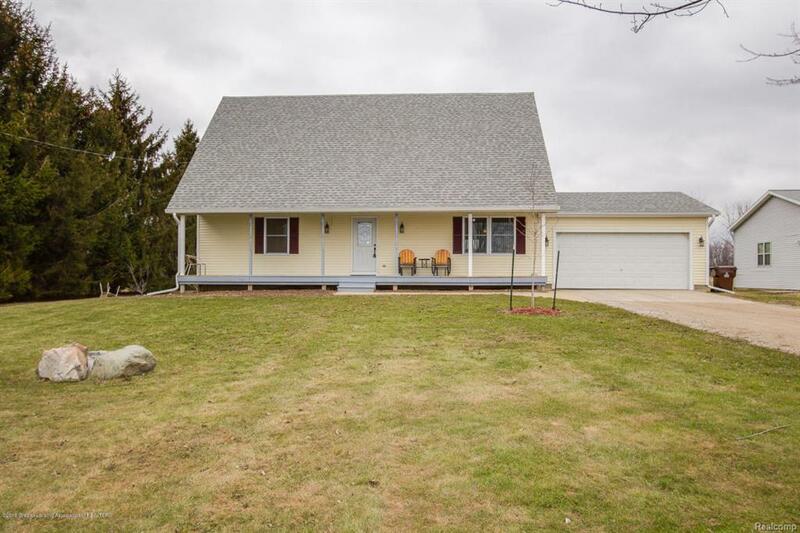 This recently updated home sits on over 11 acres with a 32x48 heated pole barn. Inside the home you will find 3 spacious bedrooms and 2 full baths. The master bedroom which is situated on the main level has a huge walk-in closet and master bath. The updated Kitchen features a spacious walk in pantry, and eat in dining area. This home features front and rear decks to enjoy all the wildlife. The updates are endless. Newer carpeting throughout, new high efficiency furnace with humidifier, water heater, water softener, recently reshaped lagoon drain field, commercial grade eaves on house and barn, siding, doors, windows, interior trim, paint throughout, driveway to barn, baths, and more. Call today for a private showing.